How Does Biometric Technology Impacts Society? How Does Biometric Technology Impact Society? Anything that affects a large population eventually affects society and the same is true about technology. Society is made by people and their persistent social interaction. This interaction forms the basis of social structure. Societies largely affect human lives and individual actions. Technology can also have great impact on social interaction as well as individual actions. Impact of technology is not referred only in terms of modern technology like IT, automobile or communication. The first ever stone tool created by prehistoric humans during the evolution of humankind, impacted how they hunted animals for their food. As humankind progressed, these tools shaped a cyclic co-dependence. This relationship of society and technology continues into modern technology. Let it be a simple tool like a paper cutter or a spaceship, human life seems impossible without them. Technology and society share an inseparable relationship of cyclical co-influence, co-dependence, and co-production. Technology has had both positive and negative impact on human lives and society, however demand of more efficient tools and machines keep growing. When a new technology reaches people, claiming to accomplish or improve a certain aspect of life, it first has to get recognition from people before it is adopted by the society. If people find it worth adopting, it creates same cyclic co-dependence and finds its place in the society. Smartphones are good examples of the technological co-dependence on society in recent years. The similar interaction is expected by the evolution of electric and self-driving vehicles and other smart devices in coming future. In recent years, traditional methods of personal identification are challenged by biometric technology and it has been enjoying increasing adoption rate across the globe. Like other technologies, biometrics has also impacted society; however, impact of biometrics cannot be entirely compared with other forms of technological adoption. Biometrics leverages personally identifiable biological patterns of human being to uniquely identify them. Fingerprints and some other forms of recognition have been largely used in forensics and law enforcement for more than 100 years. Association of biometrics with forensics and law enforcement makes people sceptical as capturing fingerprints or other biological patterns were only limited to criminals and anti-social elements in the past. On the other hand, increasing awareness with the spread of internet, people are getting aware about the strengths as well as shortcomings and risk associated with this technology. There is a constant tug-off-war between privacy advocates and biometric technology firms. Technology firms brag about the efficiency, speed and accuracy of biometrics while privacy advocates highlights its negative aspects. It confuses people and social adoption of biometrics face hardships. This phenomenon is more evident in societies across developed nations where people are more aware and concerned about their privacy. They feel that biometric technology based personal recognition violates constitutional rights of their privacy and civil liberties. On the other hand, biometrics is growingly adopted in underdeveloped world, so at the same time biometric technology is treated differently in different societies across the globe. People tend to give up some privacy for the sake of convenience. That’s how service providers are able to provide online services for free; they make use of user data to maintain their revenue. Despite hurdles, biometrics is on its way to replace traditional identity practices. Though societies in developed nations are often more resistive towards the implementation of biometrics or providing their biometric identifiers. However, people do not like to wait, and biometric technology precisely about efficiency and speed. Despite the concerns associated with biometrics, users admit its efficiency and accuracy. It also gives people a confidence that their unique patters are their identity, firming the feeling of being unique. Saved time by skipping lines with biometrics make people happier and affects the society as a whole. It is particularly beneficial in the countries where pollution density is very high and people have to wait in queues just because of identification formalities. Biometrics is also beneficial for people who are physically or mentally challenged. They can be positively and instantly identified with biometrics, leaving a positive impact on challenged portion of society. Authenticating identity can also be challenging for senior citizens, which can be effortlessly done with biometrics, providing comfort to elderly people. As adoption of biometric technology increases, it also helps create jobs. Production, testing, implementation and maintenance of biometric hardware require a large number of people to engage in these activities. Biometrics is a growing sector and requires professionals to involve in developing biometric eco-systems. BaaS (Biometrics as a Service) and development of biometric software also requires large numbers of software professionals, which is one of the highly paid jobs in the market. It helps eradicate unemployment and enable people to improve their social status, leaving a positive impact on society. Privacy is the biggest concern that people have with biometric technology. 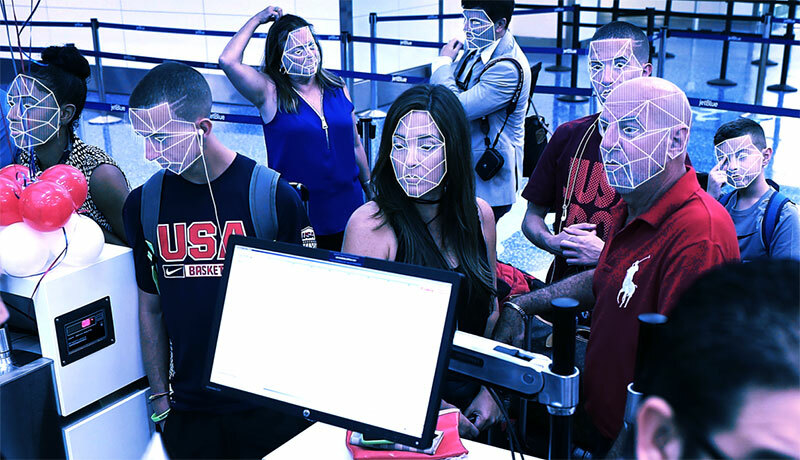 Since biometric recognition has been associated with forensics and law enforcement applications, various conspiracy theories emerged. It gave people a feeling that government is conspiring to watch their activities and they will lose their anonymity with biometrics. Even if people are not breaking any law, they do not like to be watched or their actions being tracked. However, being anonymous is just not an option in today’s digital life. Face biometrics can create a biometric profile out of your social media photos, which can be used in mass surveillance applications or identifying you in a crowd. This feeling of being watched or non-anonymity, however, is expected to be taken over by the need of convenience as there can be multiple instances in a day where people need to be identified and authenticated, and with traditional means, it becomes a cumbersome task. Biometric data security is another concern that negatively impacts adoption of biometrics in society. With increasing numbers of data breaches year by year, people are afraid what if hackers steal their biometric data. Since biometrics of a person cannot be changed if compromised, fear of losing biometric data holds back social acceptance of this technology. Biometric recognition raises expectation of people in general. Once they are used to this technology, they expect identification or authentication to be at least biometric-fast or better. Going back to older methods will be like asking to write a letter when you are so used to sending emails. Some people in a social setup may feel like left-out with biometrics whose biometric characteristics have been impaired by disease, working conditions or accident, so biometrics makes a negative impact on society in this aspect. Production of biometric hardware requires large manufacturing plants which contribute in polluting the environment, which affect population and may affect social structure negatively. Technology and society have been in a long-term relationship that dates back to 2.5 million years. During that time, human created its first ever tool and laid the foundation of its dependence on technology. Since the invention of the first tool, technology has greatly affected people and society in every era. For example, eruption of smartphones in recent years has greatly impacted how people interact and communicate. Internet has created social networks where people can talk and share without leaving their bed. Technology has helped people stay close even if they are thousands of miles away. Technology affects people at all levels, including emotional and psychological. Technological efficiency makes people feel content and prevailing. As biometrics take over the identification and authentication applications, people have expressed mixed feeling about it. Having been used in forensics and law enforcement, biometrics faces resistance in personal as well as social acceptance. Particularly in developed world, where people are aware and care about their privacy do not support biometrics. Recent revelations of government mass surveillance programs like Prism and XKeyscore, have made people sceptical about government intentions of usage of their biometric data. Despite the negative impacts of technology, it cannot be separated from society. Technology empowers society and adoption of technology by society empowers technology in return. It is a cyclic co-dependence that is hard to break once established.